dalinda - Plonka: About a tote and the sun. About a tote and the sun. Yesterday I made this tote. Taking good shots during the wintertime in Norway can be quite a challenge!! Taking good pictures without using the flash simultaneous when the sun flashes with his absences is difficult! I have to shimmy up pretty close to the window these days to get a decent shot. 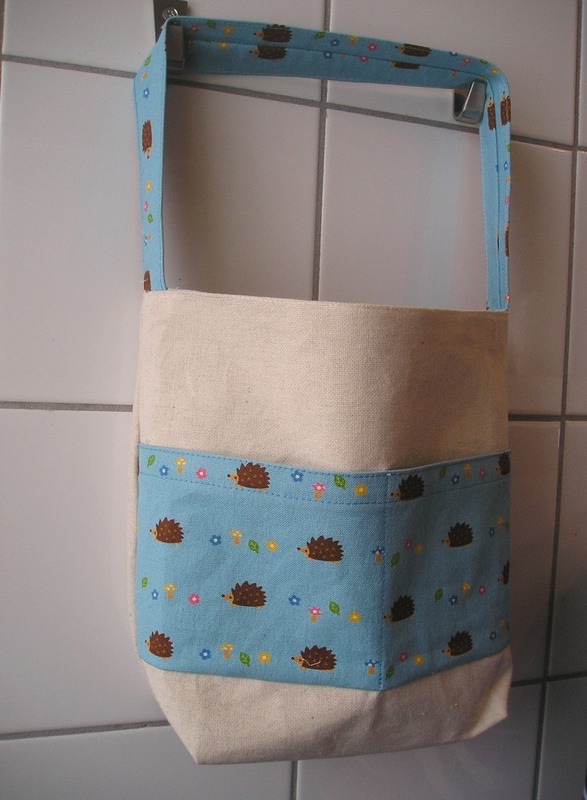 Great hedgehog fabric! Så fin veske, og pinnsvin stoffet er jo super lekkert!! Jeg sliter med det samme som deg....det er jo ikke lys nok....og enda verre er det vel i Trondheim?! Tusen takk for koselig kommentar på bloggen! Ha en kjempekoselig dag!